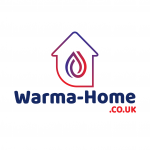 Warma-Home Heating is a local company offering service, repair and installation of domestic boilers and central heating systems across the West Yorkshire region. We pride ourselves on quality and affordability. All of our engineers have had at least 4 years apprenticeship training and are qualified in all aspects of the work that they carry out. We will try and beat any like for like quotes.